Staff are super nice and incredibly helpful. Property is clean, the unit itself is the cleanest one I've ever rented. Surprisingly cheap too. The staff is always very kind and helpful. The units are clean, well maintained, and secure. This facility has been so wonderful to me and my husband. I've been storing with them for over 3 years. They always maintain to keep the roads and buildings clean, along with a smile on their face at all times. Great place to store. Friendly staff, clean facility, and very secure. I have been using this facility for about a year. It's always clean and my 3 sometimes 4 units I feel are protected. Kyle & Andrew (the managers)are saints. Very secure location. Easy access to units for your convenience. Lights conveniently located for security. Units have concrete floors plus walls to the ceiling so each unit is very secure to prevent access from your neighbors units. Well maintained grounds and excellent ownership who take care and pride in the facility . 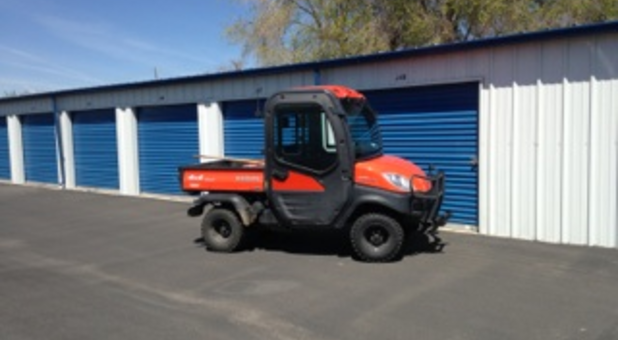 Twin Falls Self Storage goes beyond all expectation of a self storage unit business would be. I was building a home and had two units filled with boxes that was delivered to the storage unit. And when I had furniture delivered unexpectedly, they even found guys to move the furniture from the truck and into the storage units. I don't know what I would have done without them being on the spot and taking care of me. I could always count on Twin Falls Self Storage! Excellent location with service to match. Very clean facility. Thank you guys ! Thank you Kyle with Twin Falls Storage ! I rented here a few months ago for my need for temporary storage. Kyle seamlessly helped me through the rental process. He was very efficient from start to finish. I vacated my account today and he was also there to help me in closing my space and making sure everything worked out for the duration of my stay. I will definitely be using this facility in the future and recommend this location in particular to all of my friends and relatives. Thank you Twin Falls Storage Units ! We are moving, so I need storage for while. Andrew was do helpful, and patient to answer very nicely all of my questions. Thank you for your professionalism. I had a storage unit with them for over a year and their customer service is always very friendly and helpful!!! This place is awesome and I will definitely use them in the future if I ever need a storage unit. I highly recommend this company. Very helpful office manager. Helped me find the right unit, explained the rental agreement, insurance, and everything else I would need. Took the time, and I appreciated that very much! Would highly recommend this location! This was a clean property with awesome staff! Thank you! Very warm and friendly staff. The booking experience was very smooth. Kyle and Andrew took great care of us and went the extra mile to make sure we had all needed information. I rented a space for our truck and trailer rig while we rode motorcycles for a couple weeks. Kyle and team made the rental process very easy and the cost was very reasonable! Will definitely use again if services needed! Kyle was very helpful. I felt like he wasn’t just trying to get my money, but he actually wanted to help me get the right sized storage area for the best price. They take security and cleanliness very seriously. Overall great experience. I called to make reservation. Super easy and helpful. Even let me move in from out of state on a Sunday afternoon. Super helpful. Had a great experience moving in to TFStorage. When I did not estimate how much stuff I was moving in, they managed to find me a bigger unit that I could rent. All in all, would definitely recommend. Thanks Gentlemen ! I absolutely love this place! They truly have the best customer service. Always extremely helpful and go above and beyond to assist you when needed. Would highly recommend. AndRew and Kyle were very helpful with my mothers move in. Facility was super clean. Would highly recommend Twin Falls Storage! They are so friendly and helpful.. ALWAYS excellent customer service and going above and beyond for their customers!! Kyle and Andrew are both really great, friendly and helpful. Because of them I never have to worry about the storage of my car. I highly recommend them, you just can't get better service or nicer people anywhere. A very well kept storage. Very friendly staff and always clean when I stop by . Hands down one of the best storage places I've ever used. Great prices as well!! I rented a 10x20 unit last week. The gentleman that helped me was great. He was obviously engaged in the business and had a great sense of pride. Thank you. I have been a customer of Twin Falls Storage for quite some time. Kyle & Andrew are the greatest. I was recently involved in a pretty severe motorcycle accident and had to wait for my short term disability to kick in before I could make a payment. Kyle & Andrew were very understanding and assisted me in every way catching up my space rent. These gentlemen are always friendly and have the best customer service ever! Excellent customer service at the Twin Falls Storage . I rented a space from them at 1 in the afternoon. By 4 that afternoon I had already delivered a load of household items to my unit. At 5 I received a call from the manager. He had said when I added my lock to my unit, my slide was not properly in place and my unit was not completely secure. Thank you for service after the sale! Have enjoyed using this storage facility. I have used TFStorage two times and had great service. I recommend using this facility for storage!! This is such a great place to do business! The staff really makes it so easy to store stuff. Especially if you have large amounts and shipments coming in and out. They are overly willing to accommodate the needs of their tenants. I don't even live on this side of town, so geographically it's not the most local for me but I won't leave because of the service alone! Thanks Kyle & Andrew ! This place is clean and they have great security! Great customer service! So very helpful . The units and property are always clean. Great staff and clean units! Highly recommend! ! ! Been renting 2 10x10s for 5 years, and have only the best experience, every time I've visited the office; Kyle and other managers always greet me with smiles. And I'm impressed by how clean the hallways are kept. Also, my possessions have remained clean and odor free, even my clothes! This storage facility is one of the best I've ever been to. Buildings are secure well-lit and the facility is always clean. The employees are extremely friendly and paying my monthly bill is simple with automatic payment. I highly recommend this facility to anyone looking for storage. The place was super clean and the managers customer service is the best. They were over the top friendly and helpfull.I highly recomend this place.I feel my stuff is safe there. They have lights and cameras all over the place and a automatic gate. Recommended by a friend when my husband and I were making the transition from our apartments to a home. Great experience all around from the well-lit facilities, to the helpful young men in the office, to the great location. We will definitely use again. Highly recommended! This place is by far the best storage facility in the valley. The staff is super friendly and makes you feel welcome all the time. Very clean and very secure storage units and grounds. I have stored with TFS twice in the last 3 years. The two gentlemen are always willing to work with you on payments and such. I wouldn't store anywhere else. Love storing here.The managers, Andrew and Kyle, are very friendly. Well kept facility. I would definitely recommend using this storage facility. They keep it very clean, professional, welcoming, and they are always smiling! I would always forget that I had a storage, they would always call and remind me that my bill was due. Thank you Twin Falls Storage for your excellent customer service. It was a pleasure doing business with you guys! I moved to the area, not knowing where anything was, I contacted Twin Falls Storage and right away they were very helpful on getting me a place to store my belongings! Awesome family owned business! I was always greeted with a warm welcome and a smile. Best Storage place in the magic valley! If I ever need another storage unit ill definitely be back! I enjoyed my experience with Kyle & Andrew at Twin Falls Storage, them two guys are very nice people! Always very helpful gentlemen! Excellent Customer service skills. I would choose this storage facility over any other one in the magic valley! Thanks again Kyle and Andrew for your services! Nicest people to work with. I look forward to seeing you again. Great customer service treated me just like I was part of the family! My family and I will defiantly do business with this storage facility again and again! If you need a affordable storage facility,with excellent customer service this is the place to go!